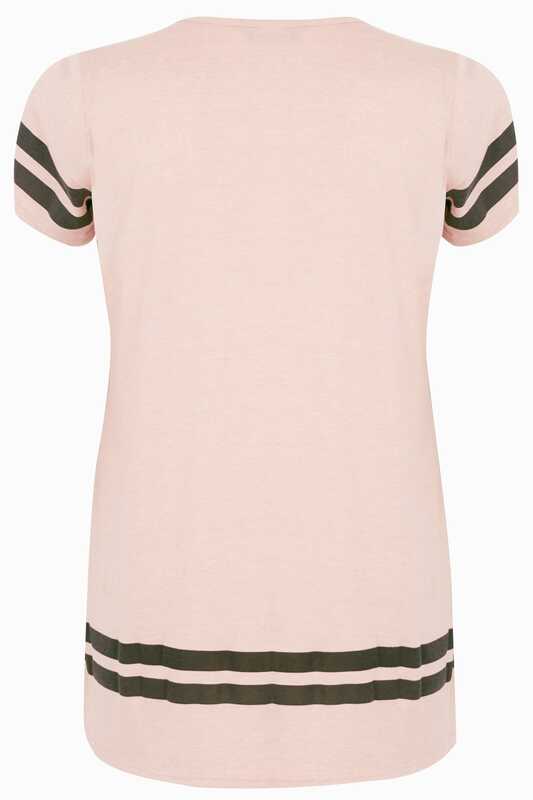 Update your wardrobe with this comfortable jersey top. With a varsity-inspired print, it features a simple scooped neckline and a step hem for more coverage. 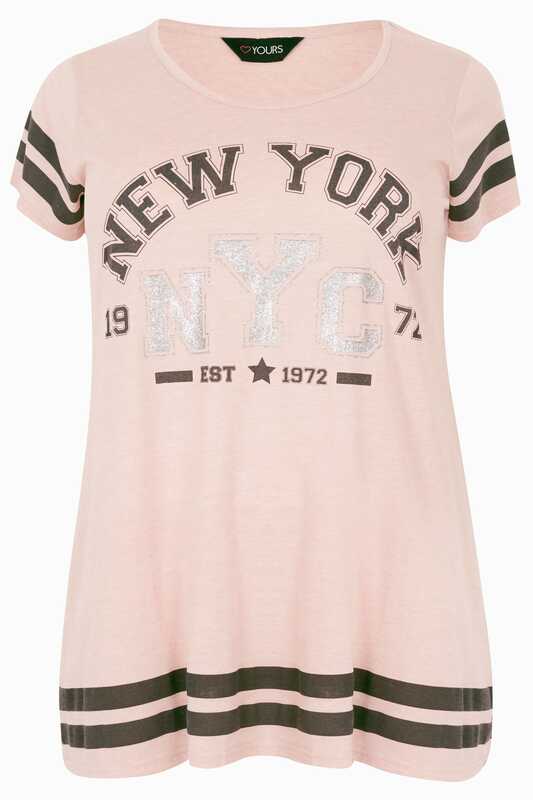 A great addition to your casual wardrobe, team with a pair of skinny jeans and trainers for an easy daytime look. The blush hue is perfect for the summer season.